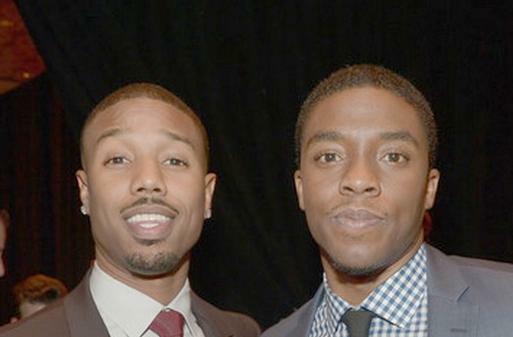 Michael B. Jordan, Chadwick Boseman the Next Denzel? *With critically-acclaimed work in two successful biopics, Chadwick Boseman is riding a good wave in Hollywood. So it comes as no surprise that the 32-year-old “Get On Up” and “42” star be among those in the minds of moviegoers who may be thinking about the next group of actors to fill Denzel Washington’s shoes. However, as The Hollywood Reporter points out, pickings are slim. Robertson may have a point. The current group of black actors, which include Don Cheadle, Jamie Foxx, Morgan Freeman and Forest Whitaker as well as Will Smith and Eddie Murphy, are all over the age of 40. To highlight the point further are a handful of actors from today’s generation that may be able to carry the torch. Boseman is one, along with Jordan, John Boyega, Anthony Mackie, Omar Sy and Damon Wayans Jr. For Clint Culpepper, the issue is being able to get past race in order to find someone who can bring fans to the theaters and money in the pockets of studios. Despite the talent of Boseman and the others, the Reporter noted how “Hollywood follows the money,” while acknowledging that “no under-35 black star has carried a global mega-grossing film in recent years. “None besides perhaps Mackie carry name recognition with general audiences,” the publication stated as it acknowledged the popularity of Kevin Hart in the U.S. and the challenge for him and other black actors to make an impact with audiences overseas. Hmm, interestingly Idris Elbas‘ name didn’t come up in the conversation. In any event, check out more of the piece by Rebecca Ford at the Hollywood Reporter.